Beirut ( Human Rights Watch) – Saudi authorities since May 15, 2018, detained a total of seven prominent women’s rights defenders, Human Rights Watch said today. The activists have long advocated ending the ban on women driving and abolishing the discriminatory male guardianship system. Among those arrested are Eman al-Nafjan and Lujain al-Hathloul, along with two male activists, but authorities have not revealed the reason behind the arrests. 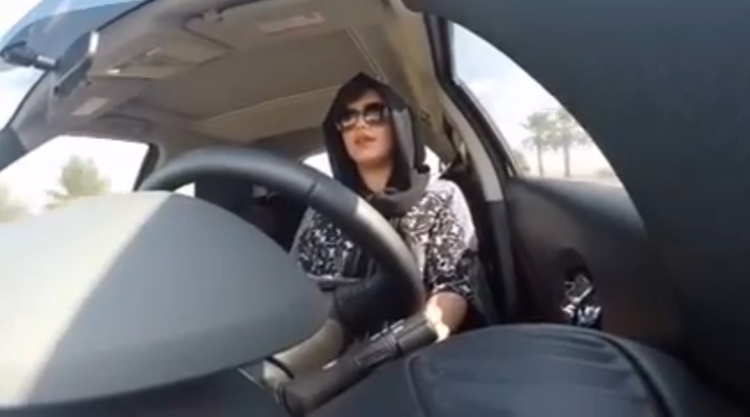 Featured photo:Video screengrab of Lujain al-Hathloul driving her car.